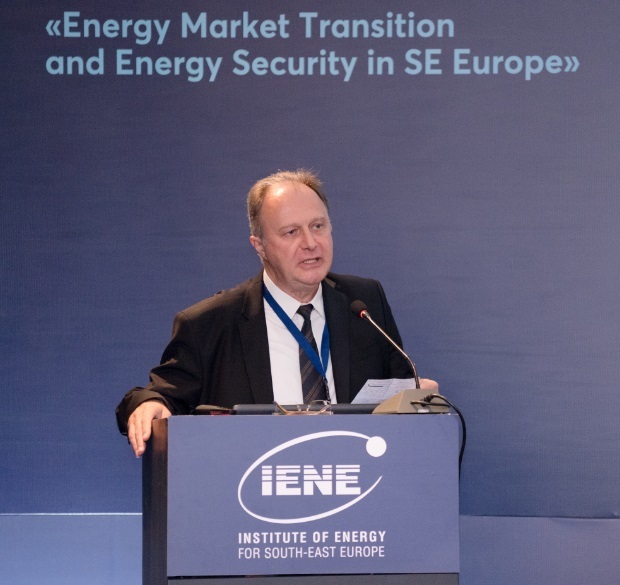 In the latest SEE Energy Dialogue, which was organized by IENE once again in Thessaloniki on June 26&27, the key role which the European Union is playing in energy developments in South East Europe,through the intervention of the European Commission, was amply demonstrated. A number of presentations did in fact focus on specific initiatives and work packages which the EC is currently implementing,as part of existing policies related to the strengthening of regional energy security but also in the area of energy transition and the promotion of clean fuels, including renewables. Representing DG Energy, Ms Epistimi Oikonomopoulou, and speaking in the morning session of Day 2 of the conference, stressed the importance of regional cooperation as a key building block for the Energy Union, since as she noted, close cooperation between major actors can advance EU energy policy objectives, help integrate energy markets and increase security of supply. Central and SE Europe Energy Connectivity (CESEC) is such one initiative which has helped bring togetherEU Member States and Energy Community Contracting Parties.The role and latest work undertaken towards this direction by the Vienna based Energy Community was explained by Dr. Simon Uzunov who discussed the main issues pending in the electricity sector. As Dr.Uzunov pointed out the role of the Electricity Community has been crucial over the past years, since EC's foundation in 2005/2006, in transferring European technicalknowhow and European Aquis to the West Balkan area, which has enabled the functioning of their energy markets in line with EU requirements. A necessary condition for the eventual andfullintegration of their electricity markets in the EU . The challenges and difficulties now faced by the European electricity industry, as European market integration becomes a reality, were amplified in a presentation by Ioannis Retsoulis,wholesale Markets &Network Codes Advisor at Eurelectric, in Brussels. One of the most important challenges, according to Retsoulis, is the further optimisation of the use of existinginterconnectors . Despite considerable investments in transmission grid,tradable cross- border capacities continue to be limited,noted Retsoulis. A point further elaborated by Aleksandar Mijuskovic, the Executive Director of theMontenegro based Coordinated Auction Office in SEE, whose development was fully supported by the Energy Community and is a good example of regional cooperation in the energy sector. All the above points and the key role which the EC is now playing in helping integrate primarily electricity markets ,andsecondly gas markets , were discussed at length in a panel discussion which followed and was moderated by Mr.Nenad Stefanovic, who is senior electricity expert at Serbia's Energy Agency.